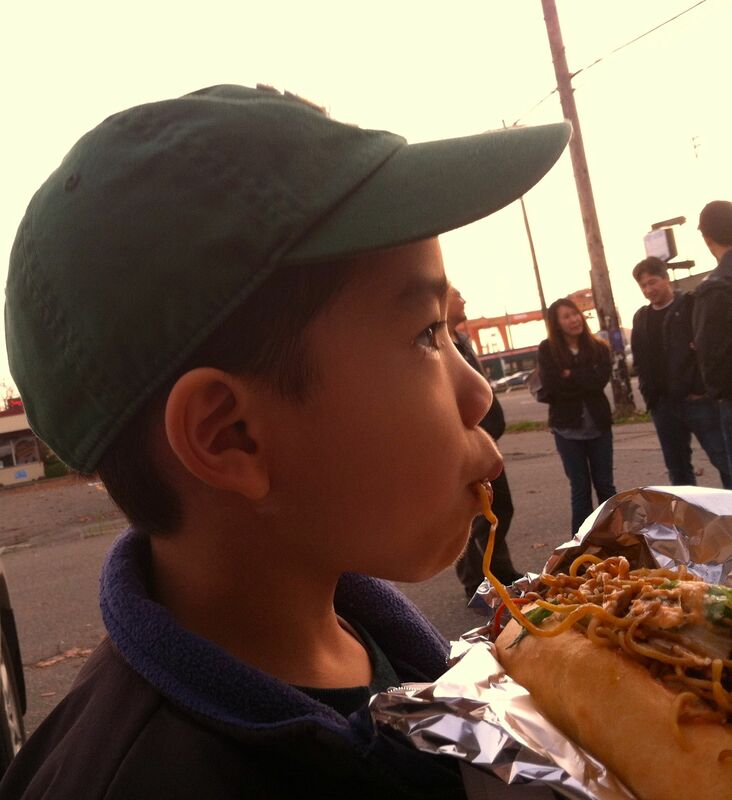 Yakisoba pan is a staple of the street food scene in Japan, but I had never heard of it until my friend Albert Jong opened Diablo Food Truckz and started serving the Japanese favorite in Seattle. Albert and I worked together for several years at a nonprofit. He managed the organization’s website and other digital projects. When he opened his truck last year, I was surprised—but only mildly. Albert had worked in the tech field for a long time, and I knew he was looking to do something completely different. It appears to be a good move for a guy who loves food, talking, and hanging out. 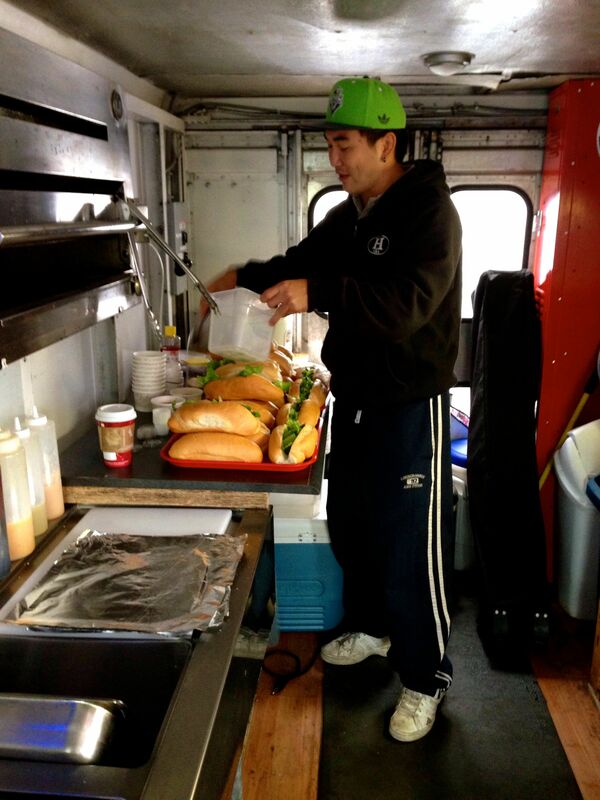 (In addition to owning a food truck, Albert should also be a bartender.) When I recently visited Albert at his truck, one of his regulars stopped by. Albert told me they went to the Ozzfest heavy metal and hard rock festival this summer. I was skeptical when I first encountered the yakisoba pan. Noodles in a sandwich? That seemed like way too much carb on carb action. I was happy to be proven wrong. While it’s undoubtedly a hearty meal, Albert’s yakisoba pan is not gut bomb heavy, mainly because of the quality of the bread, which he gets from a local Asian bakery. Bread is an important component of any sandwich, but it’s critical to yakisoba pan. It has to be firm enough to hold the noodles and meat, but soft so that you can easily bite through it. The optional hot sauces—either the habanero “Kiss of Death” or jalapeno “Devil in Disguise”—accentuate the flavors of the other ingredients and pull everything together. During colder seasons, Albert will serve a spicy miso soup. He makes what he likes and is always open to suggestions. So random things will pop up on the menu. The day I stopped by, he had fried rice with Portuguese sausage. 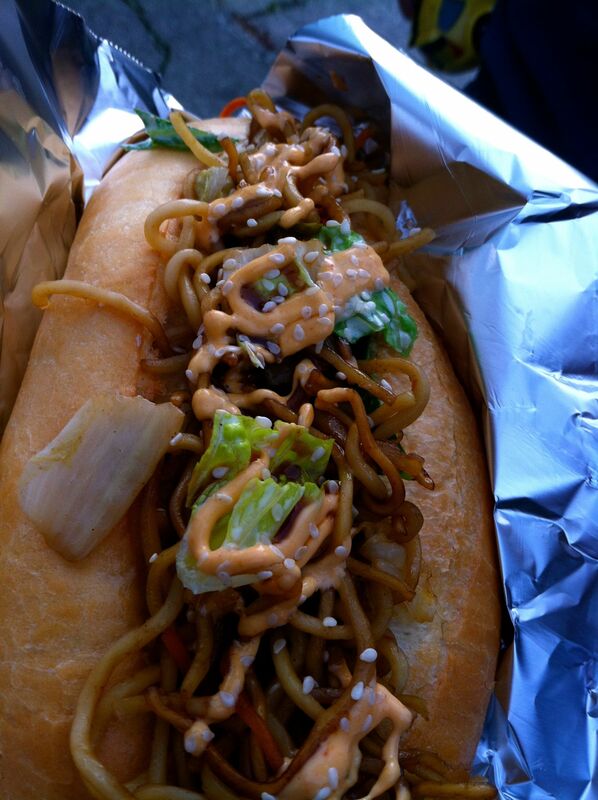 Diablo Food Truckz will have a limited and somewhat sporadic winter schedule, but yakisoba pan is worth tracking down. Follow Diablo on Facebook and Twitter for updates. Albert usually posts his location the day before he goes out. This is one if your best posts. Great balance of his story and your food narrative.